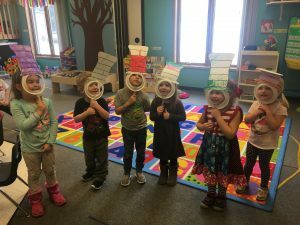 While providing a loving and caring environment within a Christian context, preschoolers will gain self-esteem and self-confidence through encouragement, praise, and positive reinforcement as they learn about themselves, their family and friends, and the world around them. We are now registering for the 2019-2020 school year! Contact Becky Hendrickson becky.hendrickson@yahoo.com for information and a classroom tour. 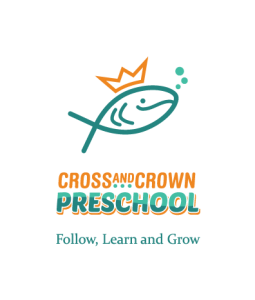 Welcome to Cross and Crown Preschool. We feel very honored that you have chosen to enroll and entrust your child to us. We look forward to meeting our new children and families and renewing old friendships. The day your child enters school is an important milestone for both your child and you. therefore, our school has been planning carefully to receive your child. We want your child’s change from home to school to be a happy one – one in which your child feels safe and secure and a little more grown up, but not too grown up! Our handbook is written to give you a better understanding of our school and hopefully, to explain to you our policies and educational philosophy. 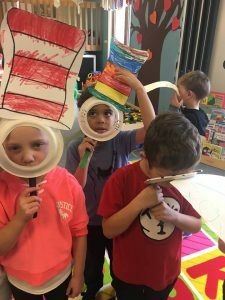 We are a blended, Pre-K program for 3- and 4-year-olds. Our school is Christian-oriented, but not denominationally sectarian. We stress those elements of the faith which are common to all Christians. 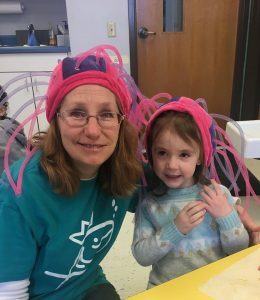 We want our school to serve families within our community – to support them and encourage them in the educating and nurturing of young children. If you do not have church home, we welcome your questions concerning Cross and Crown Lutheran Church and invite you to join us on Sundays. 1. Know themselves as children of God. 2. Know themselves as part of a group. 3. Know themselves as persons of value and worth. 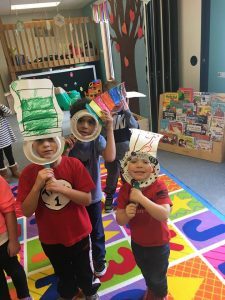 Under the guidance of qualified teachers, our program is planned to give your child newer and broader opportunities for learning that may be enriched and enlarged upon as he/she one day enters kindergarten. 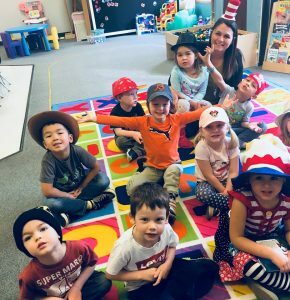 It is a school for young children such as this that children are given the foundations for a storehouse of understandings, concepts, skills, and attitudes necessary for a future positive school experience and learning at their respective ages. Lots of learning centers and child oriented play activities, because it is through play that children learn. Materials with which to create. Quiet discussions and concern for children’s growth with lots of loving. Ideas and things to talk about, relate to, compare with, match, fit into, try out, reinforce, invent, discover, and enjoy. We want to enable each child to utilize all five senses to perceive and learn from our world. We’re going to have fun and enjoy learning those things appropriate for young children. Come join us. We welcome you and your child. We consider you enrolled also. Keep in touch with us, so that we can best serve the needs of all of our children. Morning session: 9-11:30 a.m./Afternoon session: 12:30-3 p.m. Snow Days: In case of inclement weather, please listen to area radio or television stations. Whenever Ledgewood, Stone Creek, and Kinnikinnick Schools are closed, we are also. Age – A child must be 3 or 4 years old by September 1st. Registration Fee – A non-refundable registration fee of $100 plus $250 for the May 2020 tuition is to be paid at the time the parent registers a child. 1. Completed application with signed waivers. 2. Child’s medical form (no older than six months). 3. All immunizations must be up to date. Tuition is due the first full week of the month for that month. Because we do not mail tuition notices to you, a written reminder will be place on the entryway door. If you have a special financial need concerning your payment, or any further questions, please speak with the Director. 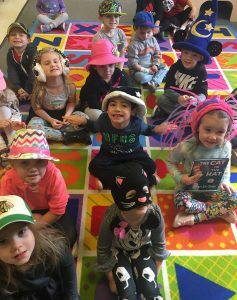 Checks may be made payable to Cross and Crown Preschool and place in the envelope on the bulletin board outside the classroom doors. Please contact the church office for full details of our policies, including entrance requirements, arrival and dismissal times, and other details not specified here.